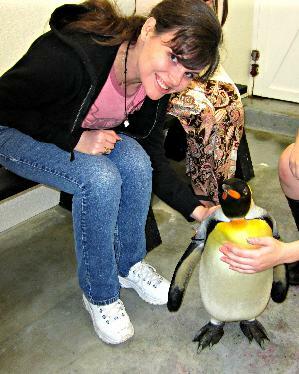 This may come as a shock... but I LOVE penguins! I am fundraising for World Wildlife Fund. I have been a supporter of WWF for over a decade. It's such a worthwhile organization deeply committed to protecting the future of our natural world. 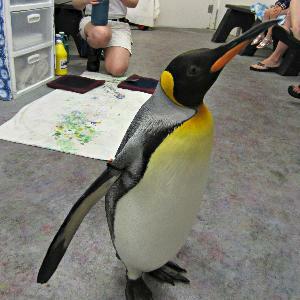 With every dollar donated, we are helping the Penguins! And Polar Bears. And Tigers. And Elephants. And countless other species we are sharing the world with. Your support will benefit WWF’s mission to conserve the great outdoors and reduce the most pressing threats to the diversity of life on this Big Blue Marble we call home. Thanks you in advance for donating to a cause near and dear to my heart! You can learn more about all the great work that WWF does at worldwildlife.org.